This website is a “Sports Tipping Platform” that hosts sports tipping competitions where users can join competitions and can tip over the games listed in them. When they join competition, can select the competition name and can view number of rounds (weeks) inside each theme. They can view list of games under each round and need to tip on each game by making payment. They can tip either on winning team and can also set their margin points by which their chosen team will win for margin game. They will earn points for each correct tips and will receive margin points if they miss tipping on margin game within competition they joined. At end of each round, admin will manually upload & publish the results i.e. users will be ranked by most points to least. Users on the same points will be ranked by lowest margin Admin can list site-wide & user-created competitions (which users can create/modify) over website. 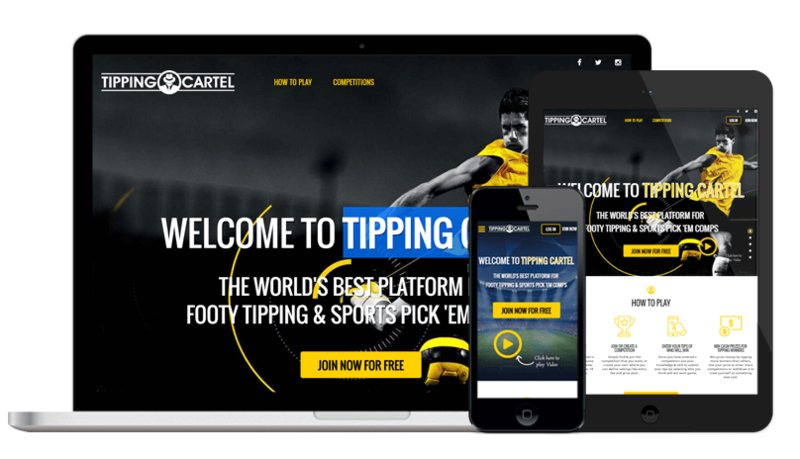 Tipping Cartel has chosen us for our ability to develop complex website and providing efficient solutions with logical approach to the requirements. The website has only single version that is running successfully from the date it was released.